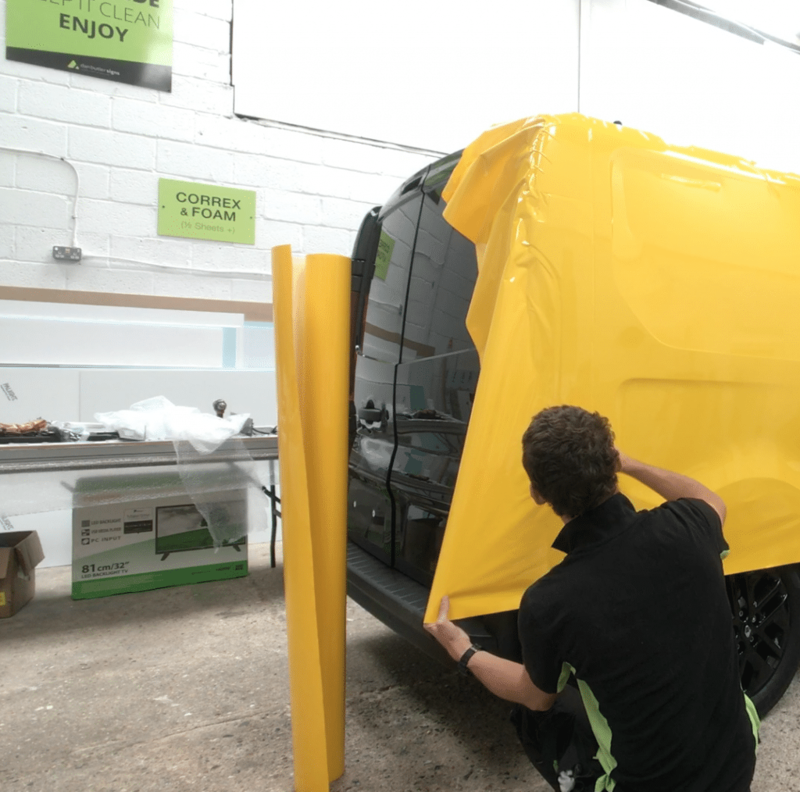 Full vinyl wrap and installation. 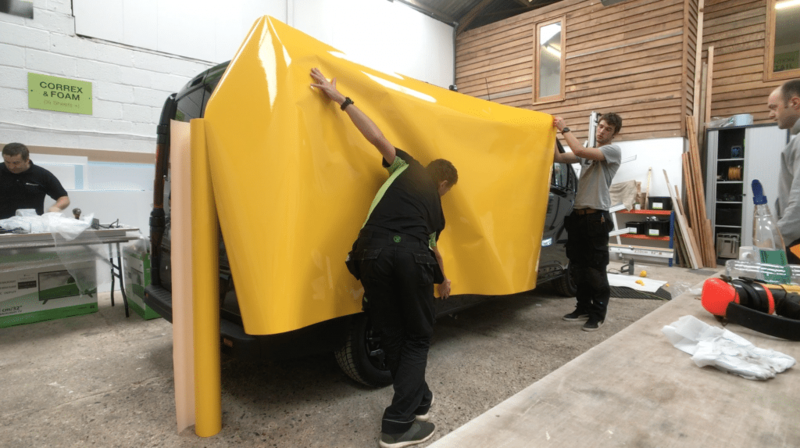 A vinyl wrap is a great financial and practical alternative to a paint job, offering a wide variety of colours and finishes, as well as bodywork protection. Paul required a specific shade of yellow, which we were able to match. First, the vinyl is measured up into drops, which are positioned before the adhesive backing is exposed. 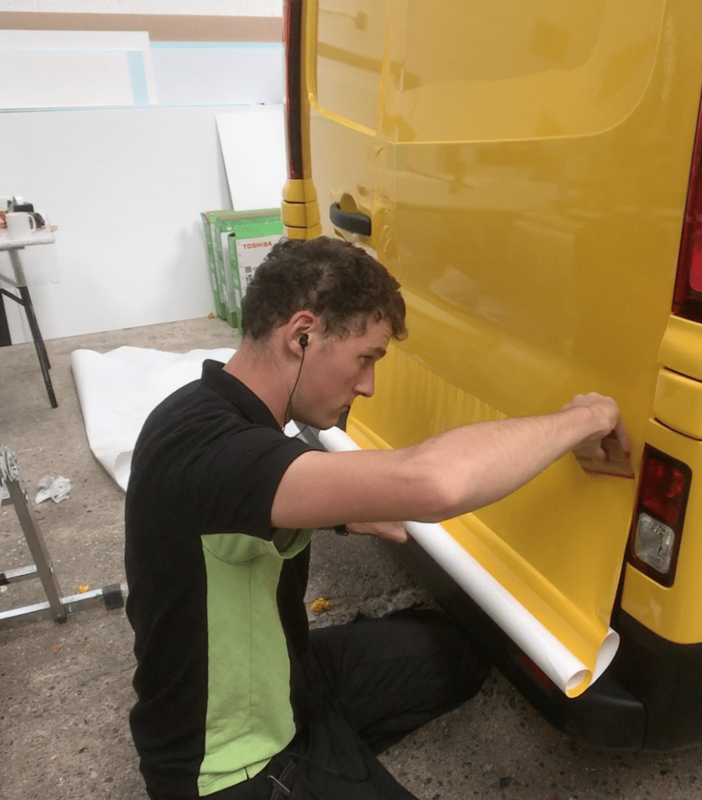 Then, using a combination of squeegees, heat guns and scalpels, the vinyl is fitted to the exact contours of the vehicle. 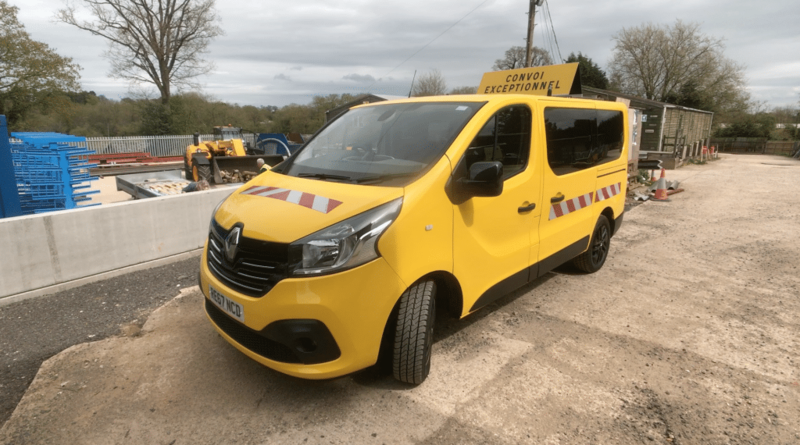 To finish the job, we added reflective magnetic strips, which can be moved and placed anywhere on the vehicle. 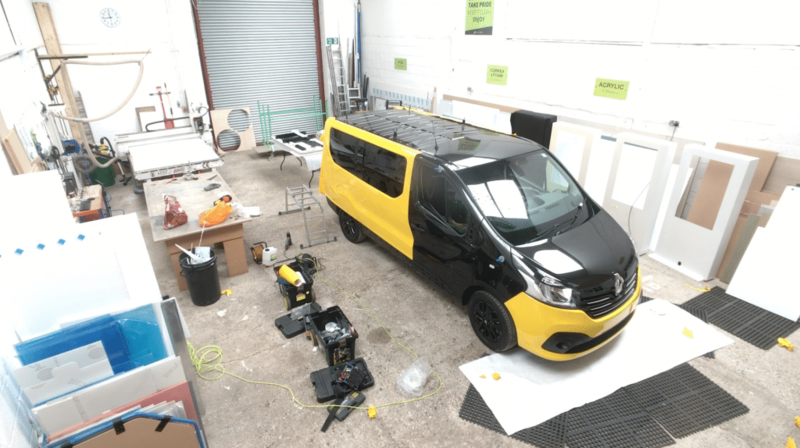 This was the final touch to get Paul’s camper ready for the road!